It happens so easily—one makes a bad choice, gets misunderstood, or falsely accused, and in the result faces criminal charges. Regardless of the outcome in a criminal matter—even in case of a wrongful criminal charge—the fact that one was criminally charged will result in a criminal record. Unless dealt with appropriately, a criminal record may create a virtuous circle and negatively affect one’s chances in the job market, in college applications, on the housing market, etc. In an attempt to mitigate or avoid negative consequences of one’s criminal record, one should consult with an attorney about whether or not they are eligible for an expunction of their criminal record and if eligible, pursue the expunction. An expunction, also called expungement, is a process ordered by the court in which one’s criminal record is “sealed”, or erased. There will no longer be a limit on how many expunctions one can pursue—the only condition will be that one “had not previously been convicted of any felony under the laws of the United States, this State, or any other state”. In order to qualify for an expunction under this section, one may not have “other misdemeanor or felony convictions, other than a traffic violation”. 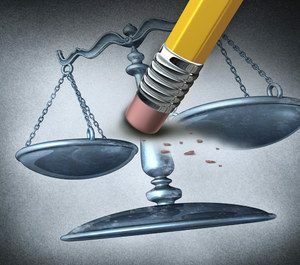 While under the current law, one needs to wait 15 years after the date of the conviction or “when any active sentence, period of probation, and post-release supervision has been served, whichever occurs later” , under the new law that wait time will be reduced to just five years for misdemeanors and ten years for felonies. If you or someone you know have a criminal record and consider pursuing an expungement in New Hanover, Pender, or Brunswick Counties, North Carolina, call Collins Law Firm at (910) 793-9000 for a confidential consultation.